In Photographing Ina Philip Trager has created an intriguing photographic tribute to his wife, Ina, who has been his creative collaborator on projects, assistant, inspiration, and model for the past 58 years. During the 1970s Trager practiced law as a second but necessary vocation. His passion, however, was always photography. While living in Connecticut he would travel into Manhattan with Ina in a car loaded with view cameras, lenses, and equipment and drive around the city, usually without a set agenda, and stop whenever he spotted an interesting interplay of light to photograph the architecture. Ina would assist him on projects in large and small ways. She would make sure he would not back out into traffic while setting up his view camera or get too close to the ledge of a building’s rooftop. The book shows a mix of color and black and white images. Most of the photos in the 2007–2011 color section are printed to approximately a 5x4 inch size. The images in 1980–1984 section are black and white, and often printed to the full-page size. Over the past 36 years Philip Trager has assembled a remarkable and often personal set of portrait images of Ina. Some portraits are a bit more intimate than average, all are obviously posed, but all also reflect Trager’s fondness and respect for his wife. And perhaps it is that closeness or lack of objectivity that has created a problem in the presentation of the images. In the 2007–2011 color section Trager presents a series of portraits of Ina, four or five in a row, that have little variation when shown in succession one after the other. It makes one wonder what selection process has been used, or why he does not select a single one to best represent his point of view. If similar photos from a series were printed in different books as individual images it would allow the viewer to enjoy them within a radically different context, but showing them side-by-side compels the viewer to choose which rendition is the more successful one. Granted that graphic artists or printmakers will sometimes show their draft printings of lithographs as works-in-progress, but in this specific photographic context where the images are not sequential nor evolving to a greater conclusion, multiple images diminish the value of a great single one. It places the viewer in the role of curator. Perhaps viewer’s choice are the criteria? In the color section Trager also experiments with a mirror to frame the subject, reflections, repetitive images, and even includes himself in some images while photographing Ina—which is very distracting. One or two such images with his inclusion would have sufficed as a behind-the-scenes approach in creating the portraits, but Trager has included more than a dozen such photos in the section, which sadly detract from the overall impact. In contrast to the 2007–2011 color section, the 1980–1984 black and white section of the book offers portraits that are insightful, by turns charming and dramatic, with a greater variety of poses and compositions, and lovely contrasts of silvery midtones. Trager joins the ranks of photographers like Alfred Stieglitz, Harry Callahan, Edward Weston, and others who photographed their wives or lovers as models, and it opens a fascinating area of psychological discussion as to why some photographers are compelled to do so. Some of those reasons are delved into by Andrew Szegedy-Maszak in the book’s essay on the Tragers. 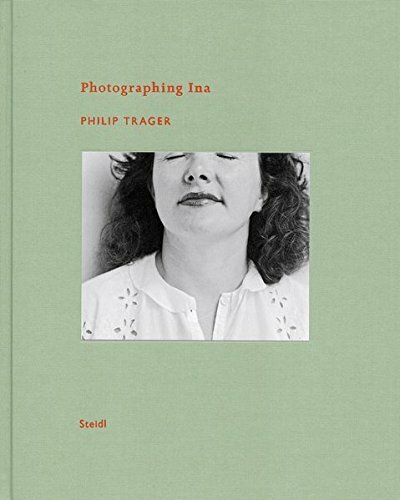 Those who are fans of Trager's work, especially his silvery black and white images, will find Ina’s portraits a rewarding pleasure in this new Steidl printing.